By 1215, King John (of Robin Hood fame) had made just about everybody mad. He raised taxes and regularly levied huge fines on trumped-up charges. He seduced several of his subject’s wives and daughters — saying “no” to the king’s advances wasn’t wise. He murdered his nephew Arthur of Brittany. He starved a mother and son to death in the same cell. And he captured and killed scores of hostages. The Pope had even excommunicated him. Many of the lords were so sick and tired of being abused that they rebelled, which usually ended up with a new king sitting on the throne. But someone (believed to be the Archbishop of Canterbury) had another idea: Why not make the king obey the law? So on a muddy field at Runnymede, England, these lords forced the king to sign a treaty that limited his powers. The medieval world had used trials and juries for some time, but this treaty made due process of the law a right. Now it wasn’t always obeyed, and King John tried to repudiate it. But this idea of basic fairness wouldn’t go away. John’s son, Henry III, was forced to obey it. And in Britain, clause 39 is still in effect and still guarantees people the due process of the law. 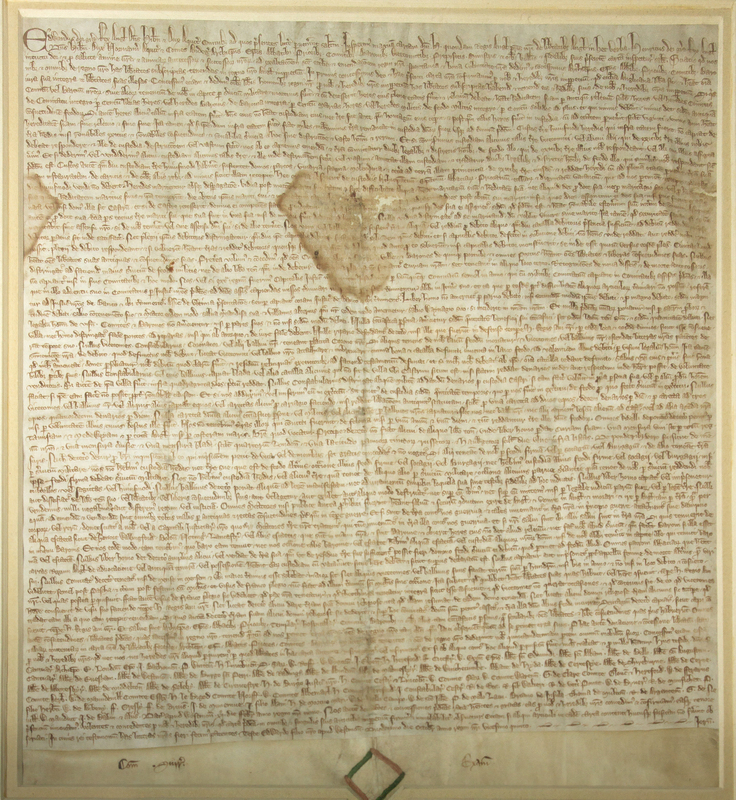 But the Magna Carta’s greatest legacy isn’t the idea of due process; its greatest legacy lies in the idea that a king (or president or governor) can be made to obey a document. Those lords had actually created a type of constitution. Quincy’s warning failed to convince the king. Quincy’s home, Massachusetts, and 12 other colonies, declared independence. This let to the Massachusetts Assembly appointing Quincy’s cousin, John Adams, to draw up the first constitution in the Americas. John Adams wanted to make sure Massachusetts’s governors weren’t above the law. Not only did Adams draw inspiration from clause 39, but the very act of drafting a constitution can be traced to the precedent set by the Magna Carta. Adam’s constitution became very influential. The United States and 9 of the 13 states used Adam’s constitution as a model. Interestingly, the monument in Runnymede commemorating the Magna Carta was actually dedicated, not by a British group, but by the American Bar Association. After all, there wouldn’t be much point to a state legislature if the Governor didn’t feel the need to bother about the law.